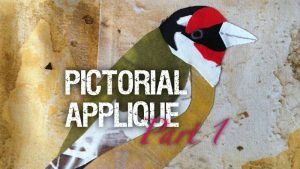 In this set of two videos Linda shows exactly how she chooses a suitable photograph as reference, drafts a pattern, selects the perfect fabrics and uses double-sided fusible webbing to create an appliqué panel. She’ll demonstrate free motion quilting and the final details that will make your panel stand out from the ordinary. 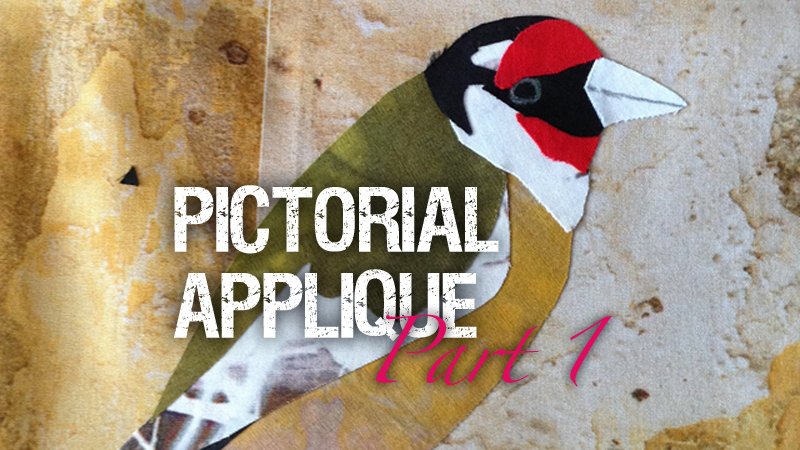 You’ll see step by step how to recreate something similar whether you choose to work with a bird motif as Linda does or choose your own source of inspiration – the techniques will work beautifully for any appliqué subject. In the first video workshop Linda will explain what makes a good photographic image to work with. 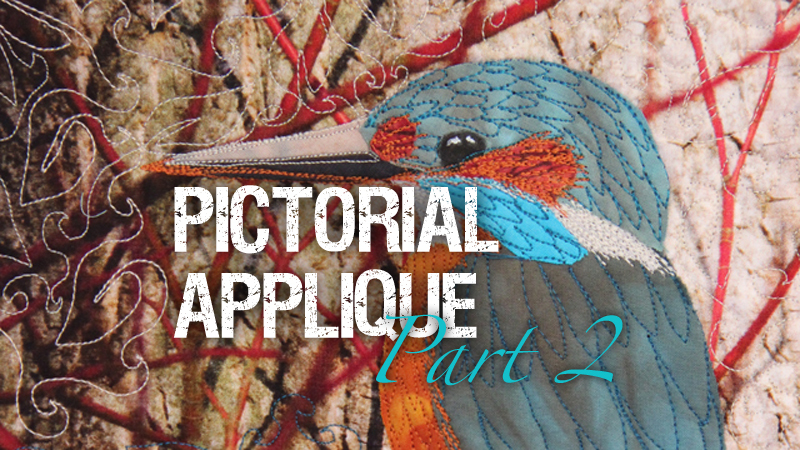 She’ll show you how she uses the photograph to draft a pattern for a bonded appliqué technique and how she fussy cuts her fabrics for perfect colour choices. She’ll explain cutting lines, seam allowances and the importance of reversing the image before arranging the components of the design. 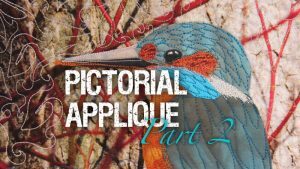 In the second video workshop Linda takes her bonded appliqué further by adding border fabrics that complement her subject. Next she uses quilting to add texture and detail, explaining how her source image influences her choice of thread colour and type and the quilting designs she uses to enhance her subject. Finally she demonstrates how she paints a decorative design on the edge of a painted box canvas to display her work. You’ll see everything you need to know to recreate a similar project!